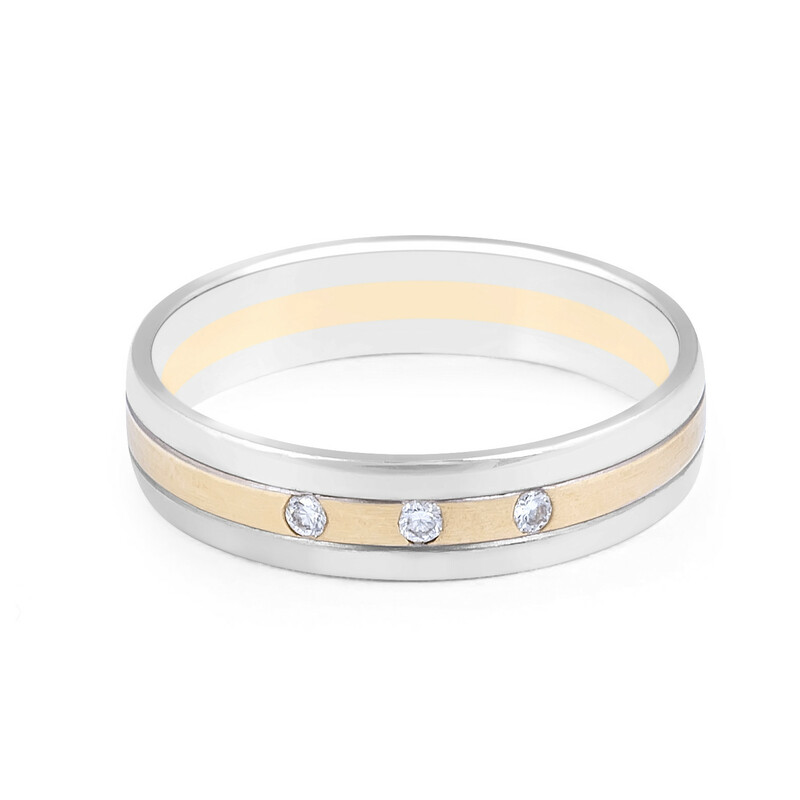 Modern Classic design 18 Karat two tone white and yellow gold ladies diamond wedding band elegantly set with 3 sparkling round brilliant diamond totalling 0.06 carat. The two toned medium width band set with the 3 diamonds gives the ring a classic yet androgynous appeal! 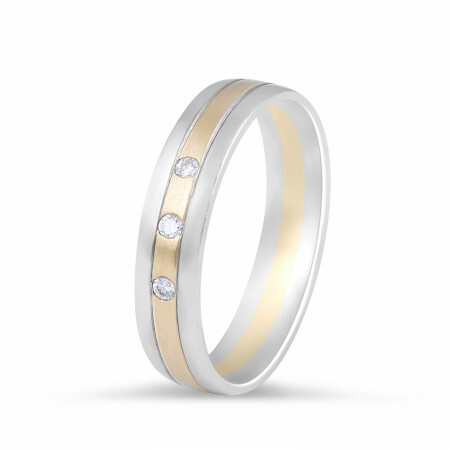 18 Karat Two Tone Ladies Modern Classic Diamond Wedding Band With 3 diamonds 0.06 Carat Band Width: 4.35 MM.